In 1954, C.A. 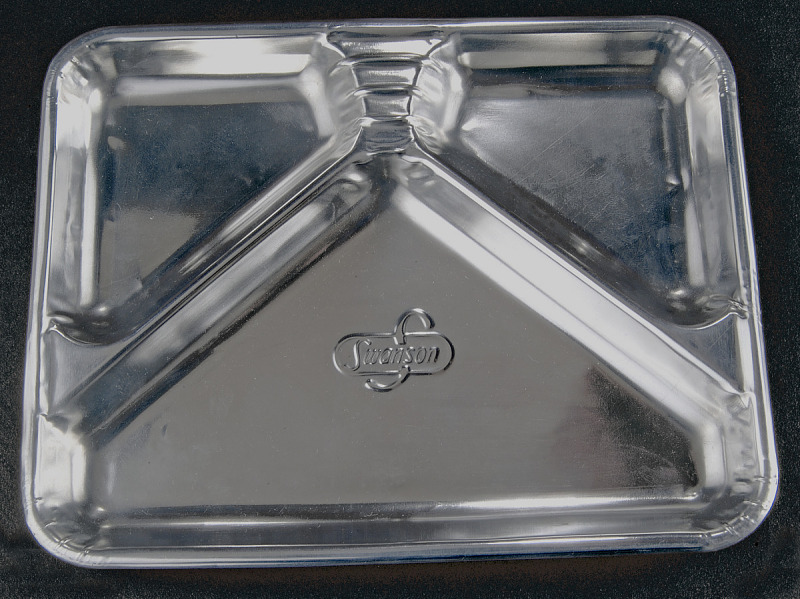 Swanson & Sons in Omaha, Nebraska, introduced the frozen TV dinner, marketing it as an easy-to-prepare, fun-to-eat meal, with a disposable tray that reduced clean-up time. The portable TV dinner tapped into Americans’ excitement over television, allowing families to eat in front of their new sets. The aluminum tray allowed the frozen meal to go straight from freezer to oven. The compartments that kept different foods from touching each other were very popular with kids. Gift of Campbell Soup Company. By 1960, nearly 90 percent of American homes had a television. 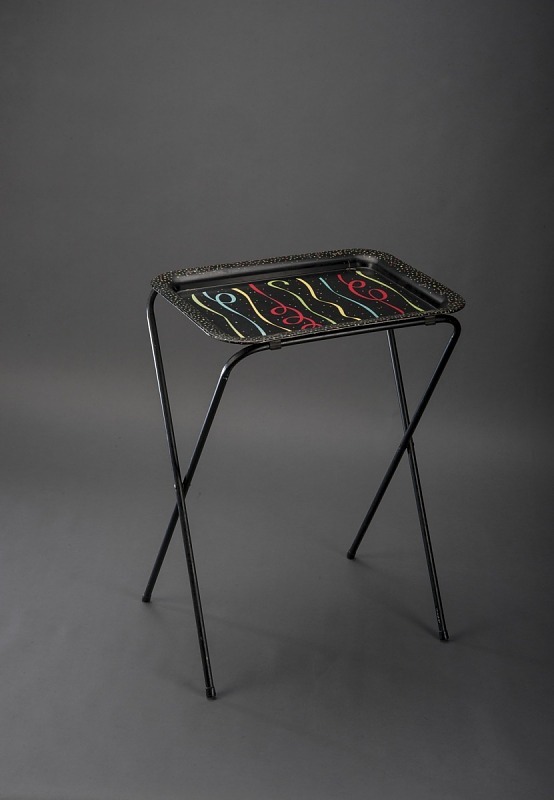 Inexpensive folding-tray tables were made for eating in front of the TV and became an alternative to the family dinner table. Responding to a growing interest in foreign cuisine, Swanson expanded the frozen product line in the 1960s to include Americanized international foods.